Ivory silk crepe, pure silk chiffon & beaded lace with gold thread combine to create this timeless and simply beautiful gown. Careful curved seaming and satin panels allow this gown to drape and flatter while the detachable silk chiffon drape adds a sense of drama. 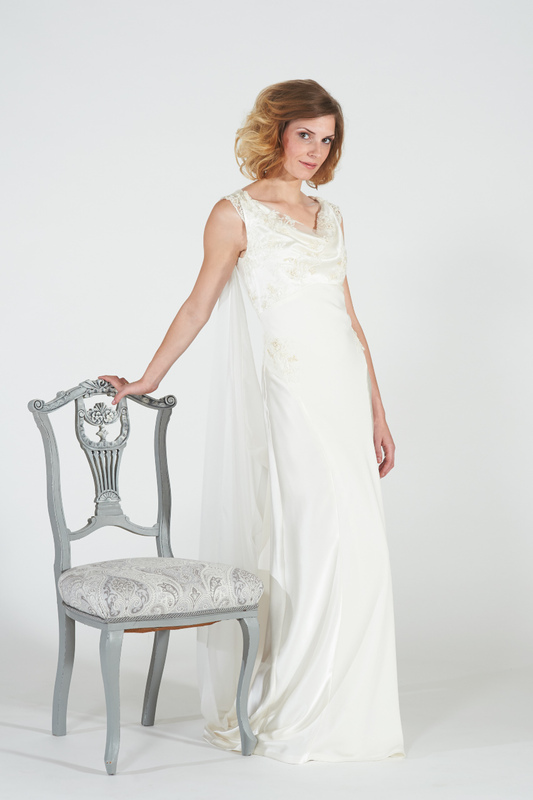 Silk covered buttons and lace cap sleeves are the perfect finishing details to this elegant and timeless gown.